Correspondence primarily concerning the purchase of IWM:ART LD 3023 and LD 3024-3028 for four guineas each, in June 1943. 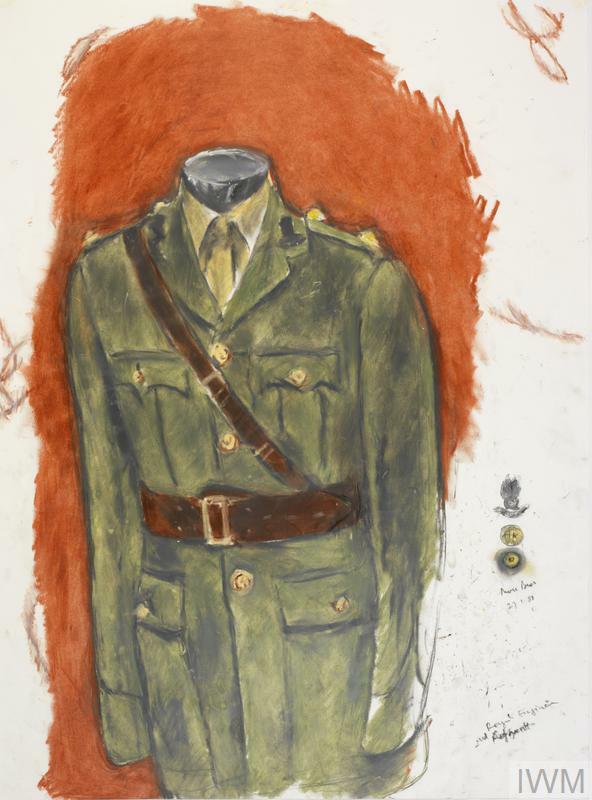 'Moss Bros 22 May 87' study for 'The Scissors, The Cotton and the Uniform". 'Moss Bros 27.1. 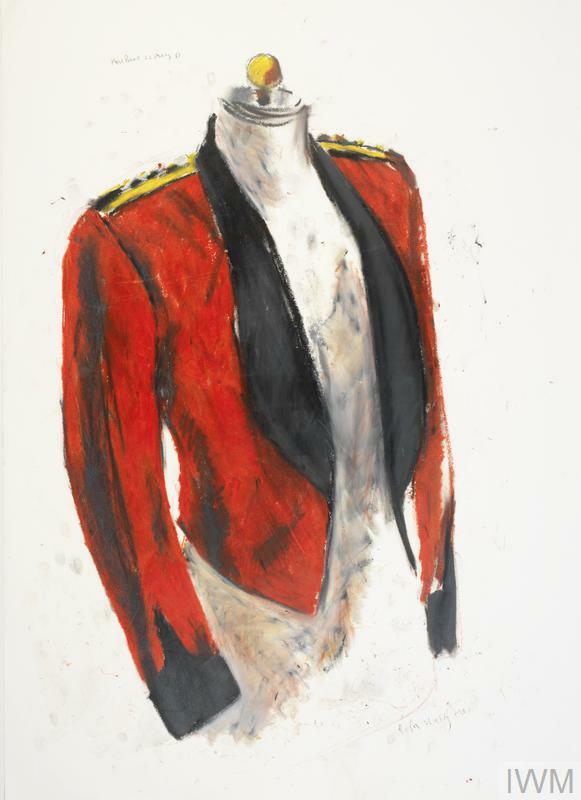 88' study for 'The Scissors, The Cotton and the Uniform".